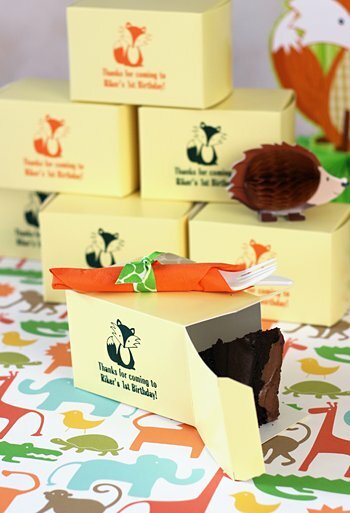 Give your birthday party guests a sweet send off with a slice of birthday cake or pie filled in these adorable custom printed cake slice favor boxes. Personalize with a birthday design and up to three additional lines of text to create your own special thank you message. Available in white or ivory boxes colors, choose from assorted imprint color options to match your party colors. Each one-piece box is made of thick moisture-resistant, cardboard that easily folds into a rectangular shape for holding wedge sliced birthday cake.